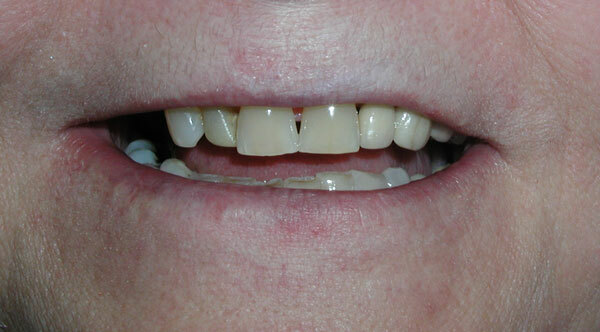 Above pictured is a precision removable partial denture replacing an old removable partial denture that has an unsightly clasp on a front tooth. 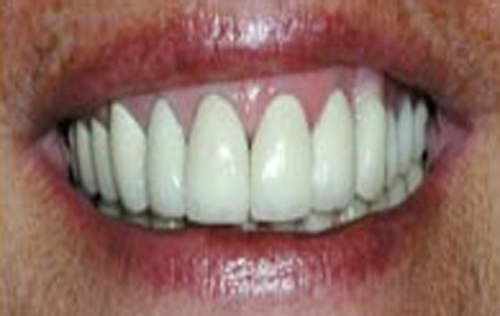 With precision removable partial dentures special male to female clips or precision attachments anchor the partial to crowns made for the teeth. 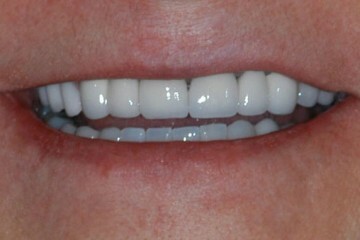 This gives a more secure fit and much better appearance than the older partial with metal clasps. 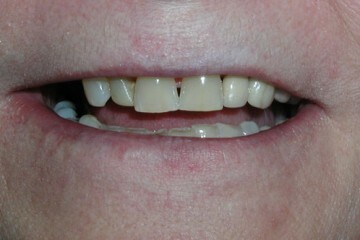 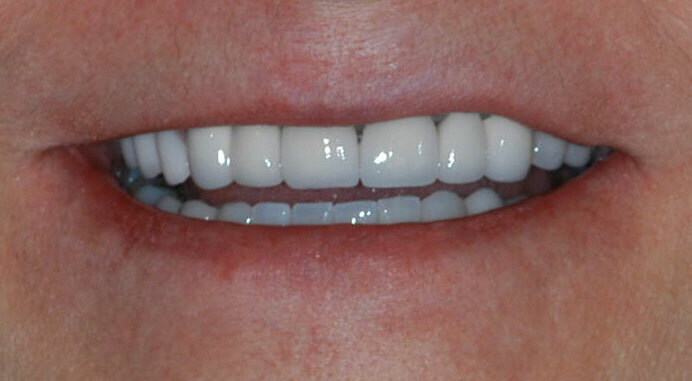 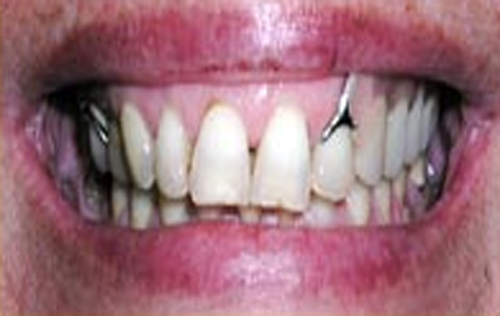 The second case pictured below shows another precision removable partial denture. With the denture in place no metal shows in the smile.